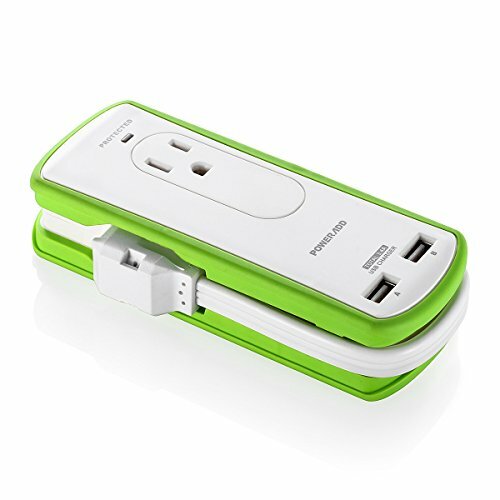 Poweradd Advantage - 2 x standard 3-prong grounded NEMA 5-12 power outlets with surge protection for homes and offices. Ultra-portable Size - 5.5*2.1*1.3 inches, 7 oz w/o packaging, light weight & compact design; easy to fit into luggage and briefcases during your trip outside. Smart Charge - 2 x PowerSI USB charging ports with high output of 3.4A per port supports simultaneously charge for an iPad and an iPhone, maximum current 5V/3.4A in total. Wrap around power cord design -1-foot cord with 90° flat plug winds around the body of the charger, convenient for storing. UL and C-UL approved, (Model No:S9P221AB30), Poweradd Offers 24-Month limited product guarantee and life-time technical customer support.